The JAC & Gill Club for our younger (5 to 17 years) enthusiasts has been running since Easter 2014. The JAC & Gill Club meet between 1pm to 4pm at the West Bay Cafe during the Free adults meeting every Saturday. The JAC & Gill club is led by our group secretary, Gill Palmer. She is an experienced and qualified teacher, who has been teaching locally for 30 years. The Junior Astronomers have the opportunity to learn about astronomy and share their knowledge and enthusiasm with friends of their own age. If your child has a telescope of their own and would like help in setting it up and successfully aiming it at the stars, they are welcome to bring it along. However, this is not essential, as they will have the opportunity to use the range of telescopes available within the group. If you would like to join the JAC & GILL Club, Please contact us, all the details are on the Contact us page, or come and visit us at one of our free public meetings at the West Bay Cafe Saturdays 1:00 - 4:00pm. You MUST be accompanied by a parent or guardian to safeguard any eventualities whilst at any of our events. The adult responsible MUST remain present and accountable for your actions at all times. 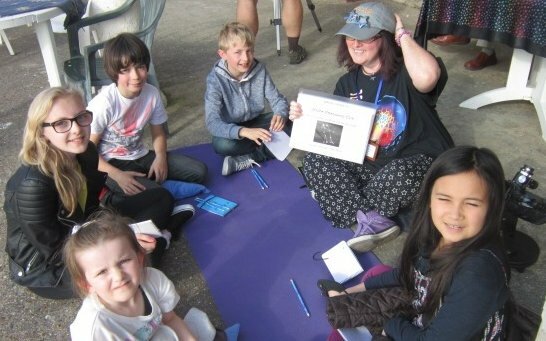 These club meetings are a regular Saturday event for all our Young Astronomers, so they can become actively involved in Thanet Astronomy Group and reach for the Stars! There will also be Star Gazing Parties during the school holidays, which are exclusive to the JAC & Gill Club members only. 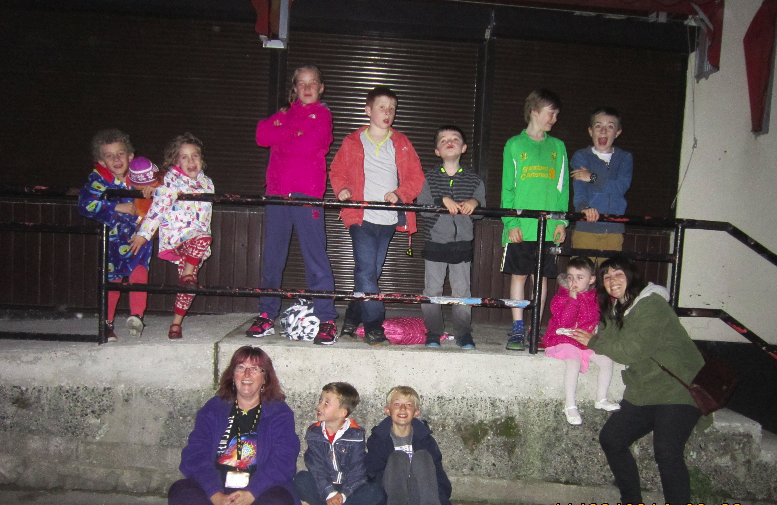 JAC & Gill went Stargazing again on Monday 27th October 2014. There were 10 of us Juniors at West Bay Cafe with about a 20 adults and the sky was really clear. We could see The Summer Triangle really brightly over the sea. There was Cygnus the Swan flying right across The Milky Way, Aquila the Eagle in the bottom corner and Lyra the Harp playing in the top corner of The Summer Triangle. 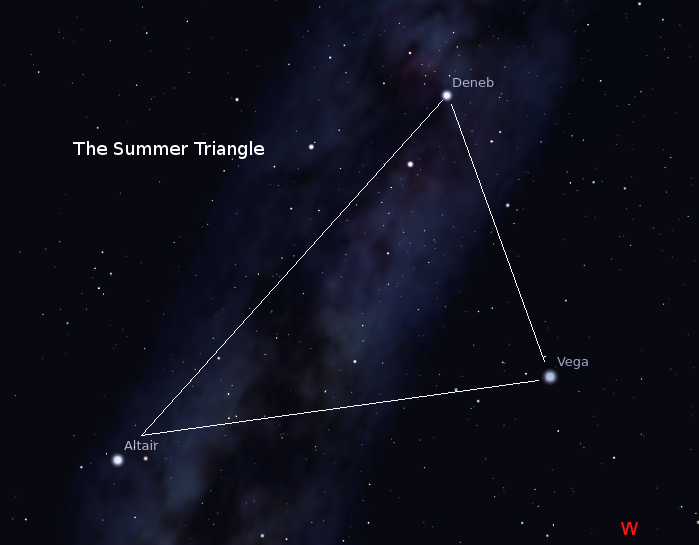 The Summer Triangle Mon 27 Aug 2014. What a super Summer evening to go Shooting Stargazing with friends...the Moon was a little bright to see loads of shooting stars. However, together we counted 15 meteors, several constellations, and loads of satellites, along with a rather spectacular lightning display over the sea. JAC & GILL Club Shooting Stargazing Party Mon 11 Aug 2014. 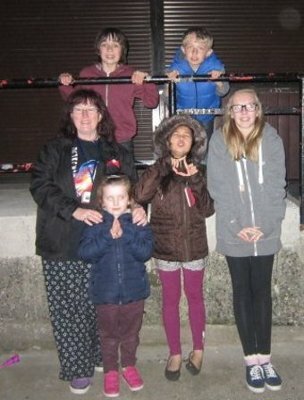 A very big thanks to the 15 of our Junior Astronomy Club (JAC & Gill) Members for staying up past their bedtime to help us to hunt for shooting stars and all the adults who helped to keep them safe on the promenade! JAC & GILL Club Parents. There were at least 50 of us altogether on the night and although we were not able to see as many meteors as predicted, we were able to view many familiar constellations such as Cassiopeia (the big W in the North East), Ursa Major (the Great Bear), Ursa Minor (the Little Bear) and Cygnus the Swan flying through the Summer Triangle of Vega, Deneb and Altair. JAC & GILL Club First Meeting. Friday 11th April 2014 During the Easter holidays. Location : West Bay Cafe, Westgate-on-sea. We invited Junior Astronomers to join us for a meeting of the JAC & Gill Club. 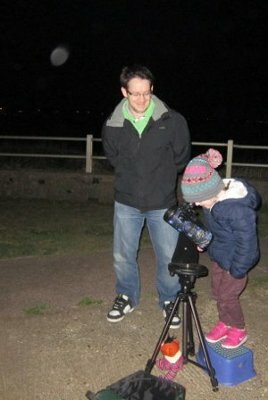 At Thanet Astronomy Group, we are keen to encourage our next generation of Young Astronomers and help them to learn more about the stars and how to use a telescope. The intention of the JAC & Gill Club is to provide a fun get together for Junior Astronomers of all ages and abilities to share their interests and develop their knowledge of Astronomy. 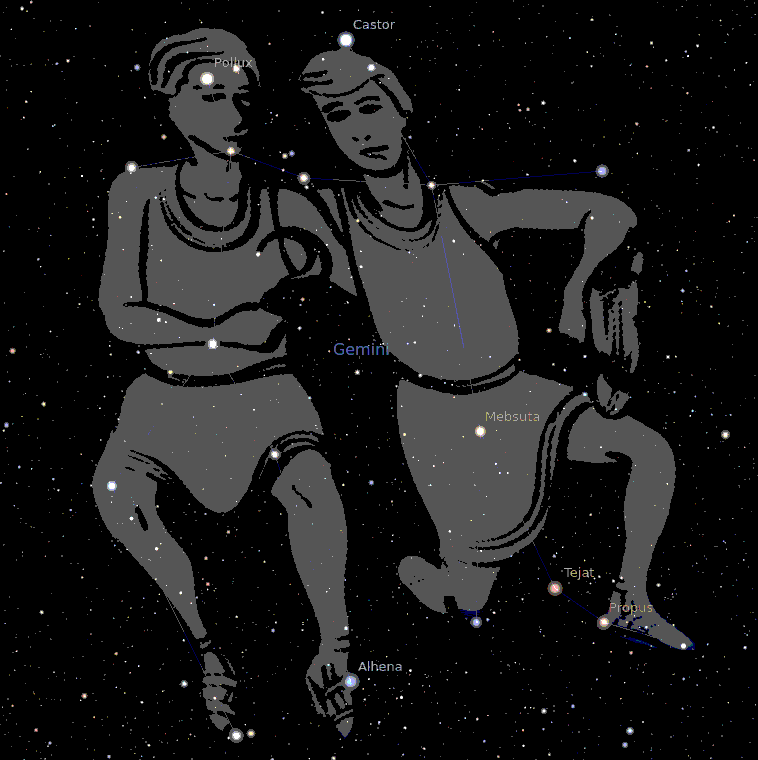 The JAC & Gill Club met again for one hour in the evening from 8:30pm to 9:30pm to have a Star Gazing Party. This gave our Junior Astronomers the opportunity to put their knowledge into action. The JAC & Gill Club even watched the International Space Station fly right across the Gemini constellation which they have now adopted as the JAC & Gill Club Logo !!! JAC & GILL Club First Night Viewing West Bay Cafe Sat 11 04 2014.